Welcome to our distillery and tasting room, located in Windsor Vermont alongside the Connecticut river. 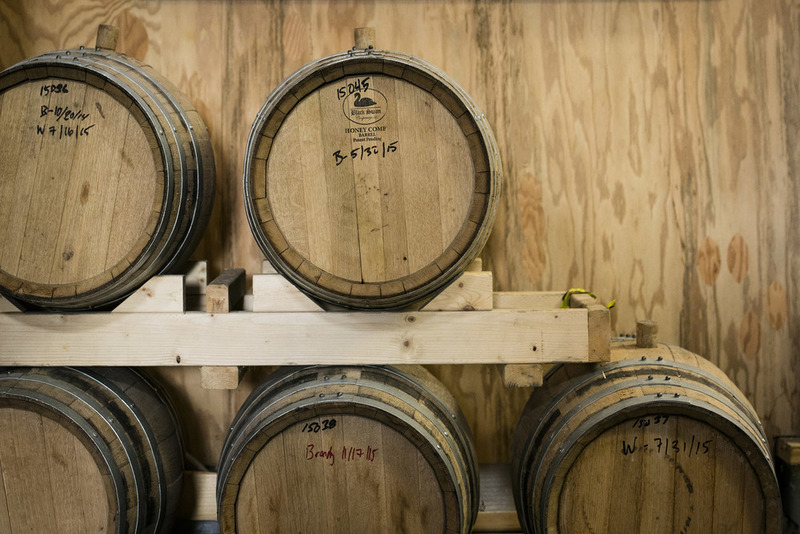 We are Vermonters dedicated to making innovative craft spirits. Our process is completely hands on, starting with grain selection from Grembowicz Farm in North Clarendon, Vermont. Everything is done right here in our barn distillery. of Vermonters dedicated to making innovative, artisanal craft spirits with local and natural ingredients. for people looking for a local option. Sustainability is part of our process; recycling the water used throughout distillation, and sending spent grains to farmers to use for feed. 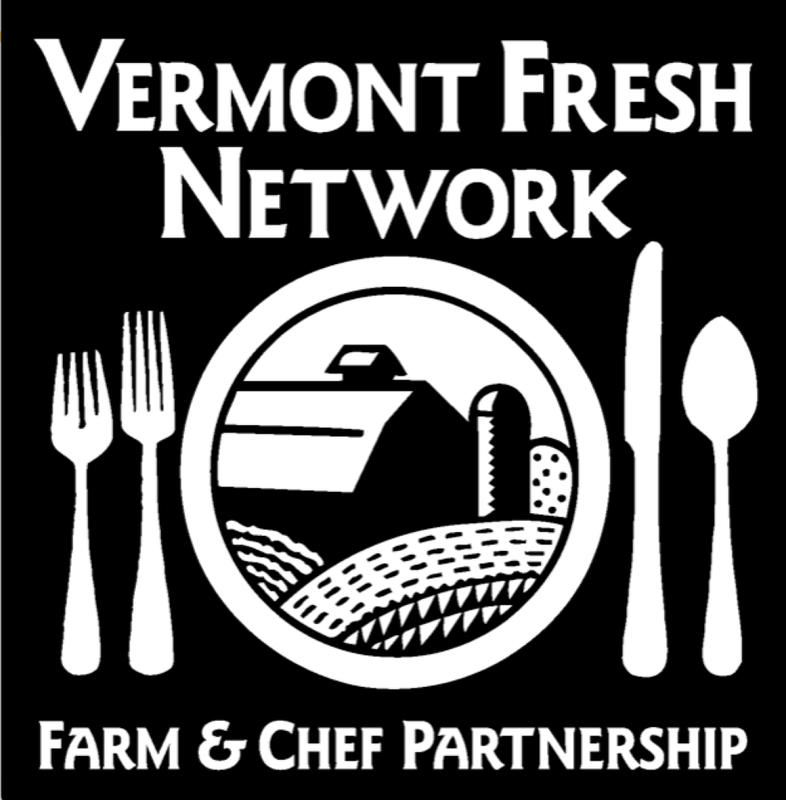 Corn, rye, and wheat grown by Grembowicz Farm in North Clarendon, VT are delivered to SILO. The grain is fed by hand into a hammer mill, which grinds the grain into a consistency similar to grits. The grain travels into the mash tun, where it is cooked and cooled over a six hour period to create our mash. We add enzymes in order to break the starches down to fermentable sugars. Yeast is added, and the mash is transferred to a tank where it will ferment for seven days. The mixture, referred to as "the wash", turns into an oatmeal-like porridge of fermented grain and water. The wash is pumped into the Pot Still for a stripping run which removes the alcohol from the wash. The product of a stripping run is a very floral and cloudy liquid, called a "low wine" because of its low alcohol content. Low wines are placed back into the still and are channeled through a distilling column. Our tall column produces vodka and our short column produces more flavorful spirits such as whiskey, brandy, and Solstice. All spirits are proofed down and are then bottled, infused, or barreled. There are 3 stages of spirit collection, called "cuts": heads, hearts, and tails. At SILO, we're all hearts, all day. Staying true to the spirit. 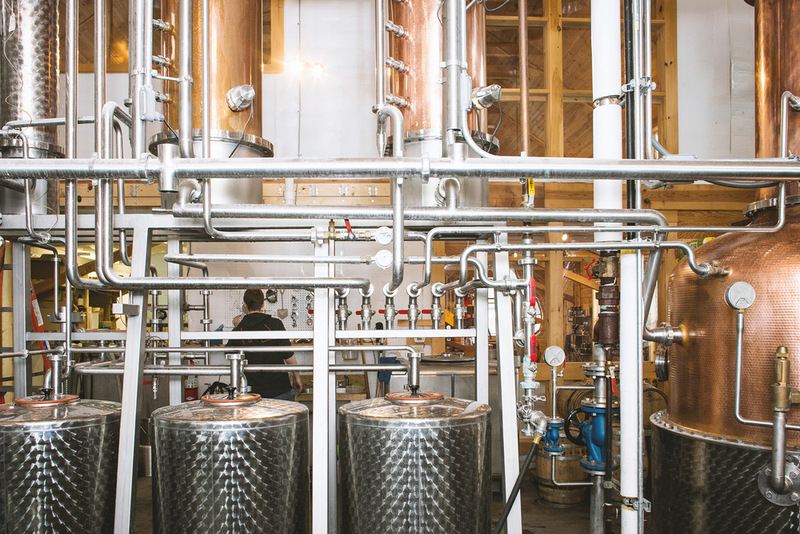 We are Vermonters dedicated to making innovative, artisanal craft spirits. Located in Windsor, Vermont, in the same Artisan Park area as Harpoon Brewery, Simon Pearce, Oh Veggie!, The Cheese Board, and Great River Outfitters, SILO is situated in a newly built barn distillery. The space is uniquely designed to support sustainable production as well as offer the public a full tour, tasting and cocktail experience, inside and out. The two-story space is rich with the smells of pine and cooking grains, offering beautiful acoustics for local musicians against a backdrop of the stainless steel and copper of SILO’s custom German distillation equipment. SILO's process is completely hands on, starting with grain selection from Grembowicz Farm in North Clarendon, Vermont. “Using a local source makes all the difference. You know the people and how they raise their grain down to the seedling. It’s the first steps we can take in assuring our consumer we offer them something of the highest quality, that we really care about,” says co-owner Anne Marie Delaney. SILO's process aims to be as sustainable as possible, recycling the water they use throughout the process and shipping spent grains off to local farmers to use for feed.